Brazil is the largest country in South America and is made up of many cultures, all of which have their own cooking techniques and individual flavour combinations. This mix of eclectic influences come together to create the exiting and robust dishes traditionally served throughout this lively nation. 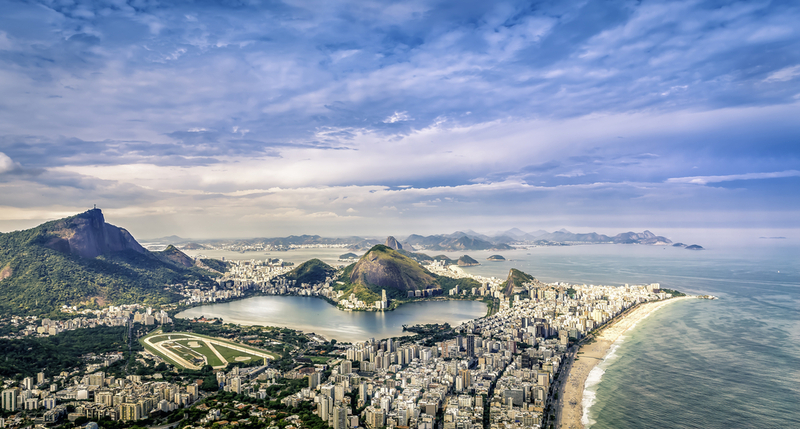 From tantalising small bites and deliciously devious deserts, to hearty mains and mouth-watering street foods, Brazil has something to delight everyone’s taste buds. 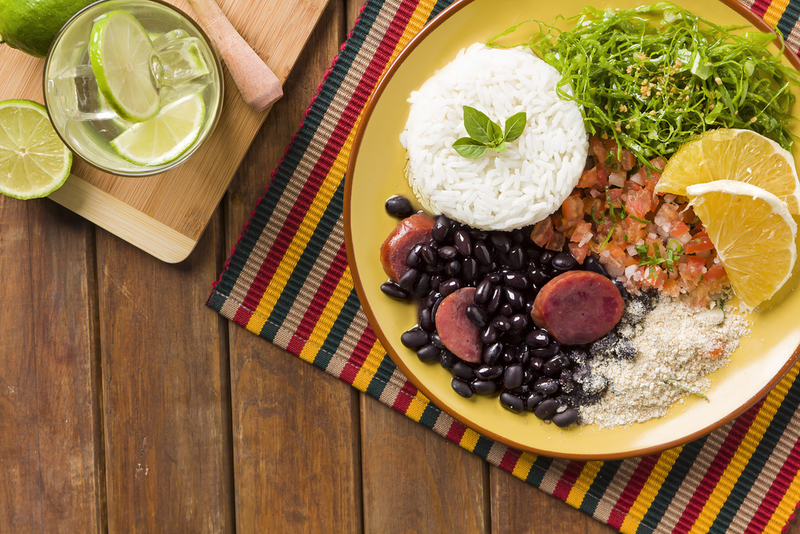 We have put together our top picks from the extensive range of yummy dishes served in Brazil, so read on to see which Food From Brazil you simply must try. Pão de queijo. Photo credit: Shutterstock. 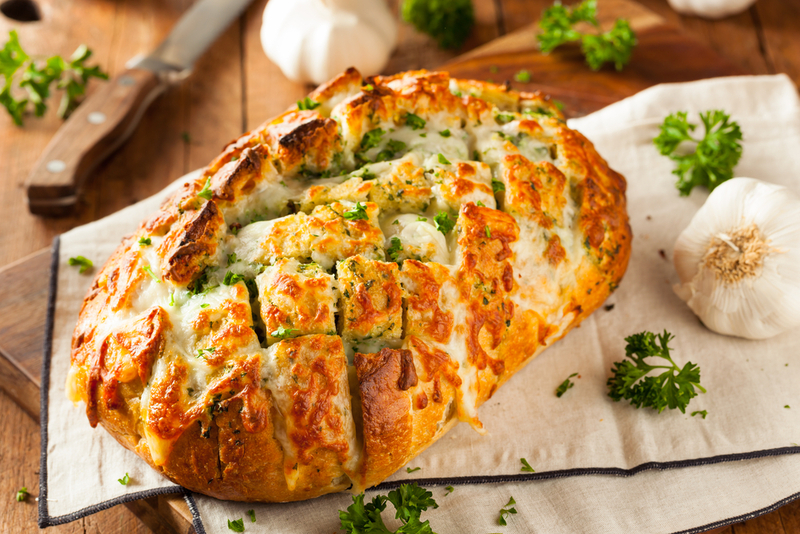 One of the worlds staple combinations, cheese and bread, are taken to a whole new level in this Brazilian favourite. Pão de queijo are satisfyingly crispy on the outside and soft and chewy on the inside, filled with gooey melted cheese. For those of you who are gluten sensitive, don’t you worry, this dish is made with tapioca flower! These moreish balls are often enjoyed as a satisfying breakfast, or as a quick snack during the day. The Brazilians add their own theatrical flare to the usual fish stew, making this a warming, fragrant and utterly delicious dish. 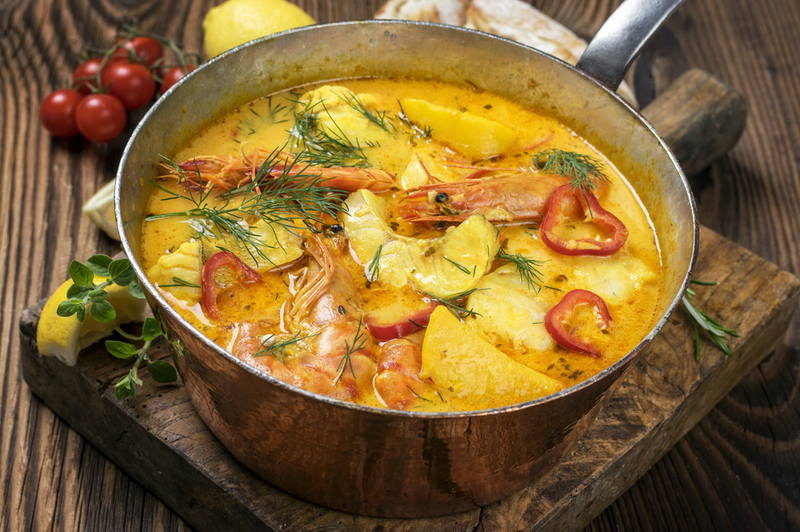 For this delicious Food From Brazil, the residents of Bahia and Espiritu Santo lay claim to the origins of this dish, although many areas of Brazil make their own variation of moqueca. In it’s most traditional form seafood, diced tomato, onions and coriander are all thrown into a giant clay pot, and are left to simmer for hours in a mixture of palm oil and coconut milk. This dish is usually served with rice, farofa (fried manioc flower) or pirão (spicy manioc porridge). Classed as the national desert for a reason, these little balls of heaven are Brazil’s answer to the chocolate truffle. 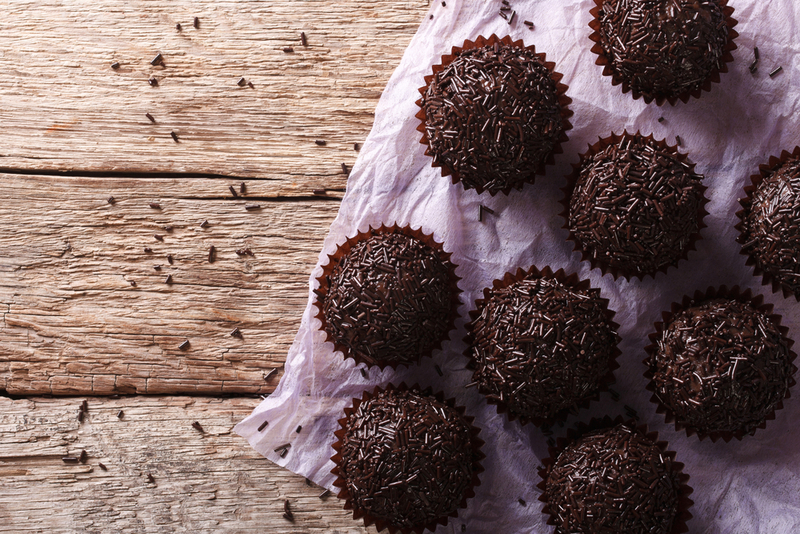 Brigadeiros are made by simmering condensed milk with cocoa powder, then adding in some butter, and rolling into sweet little balls of goodness. These are then cooked and allowed to cool before sprinkles of… you guessed it, even more chocolate, are added to the outside. Guaranteed to give you an instant sugar rush, these treats aren’t to everyone’s pallet however, Brazilians will proudly eat them after every meal. Acaraje a calorie rich snack. Photo credit: DAX. Known as one of the most calorie ladened snacks in the entire world, you know it’s going to be good! Acarajé is a street food most commonly found in Bahia, where they have strong African influences in their cooking methods, and is usually made fresh to order on the spot. 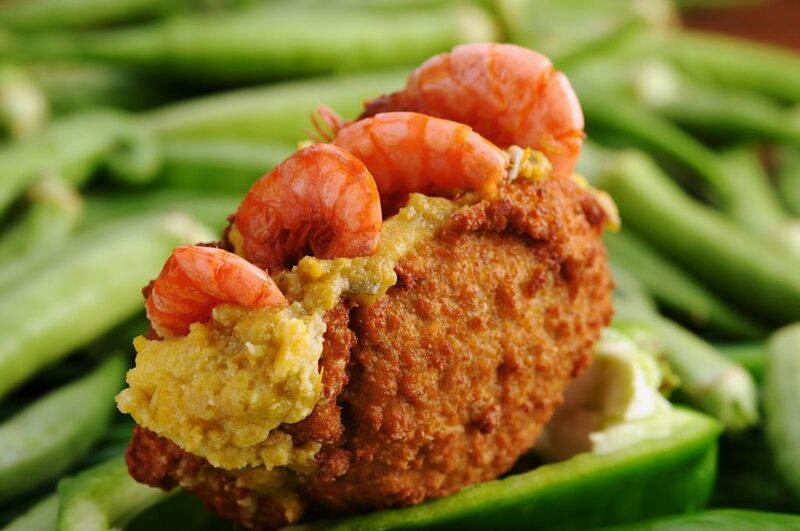 These balls of guilty pleasure are made from a deep fried black-eyed pea and onion paste, that are then cut open and stuffed with shrimp and vatapá; a rich and spicy pure of bread, cashew nuts and prawns. Skewers on the Brazilian Churrasco. Photo credit: Shutterstock. I’m sure a lot of you have been to a Brazilian restaurant, or seen images in movies of people being served meat straight from skewers at their tables, well this is part of a traditional Brazilian BBQ. The meat is seasoned with a health serving of salt, placed on skewers, and then grilled over hot coals or wood until it is cooked to juicy pink perfection. 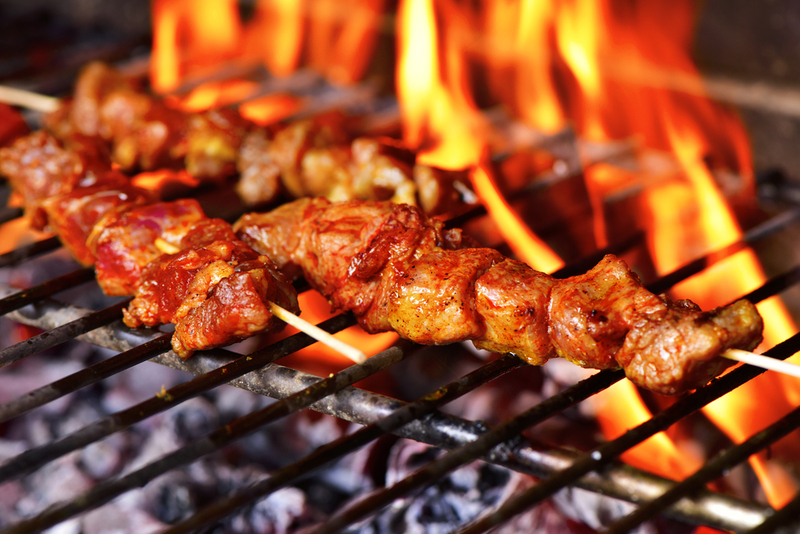 Traditional at-home-BBQs usually serve sausage, chicken hearts and queijo coalho, a squeaky cheese served on a stick. However, Churrasqueiras will serve you all manner of prime cut meats on rotation until you can’t possible fit in one more bite. 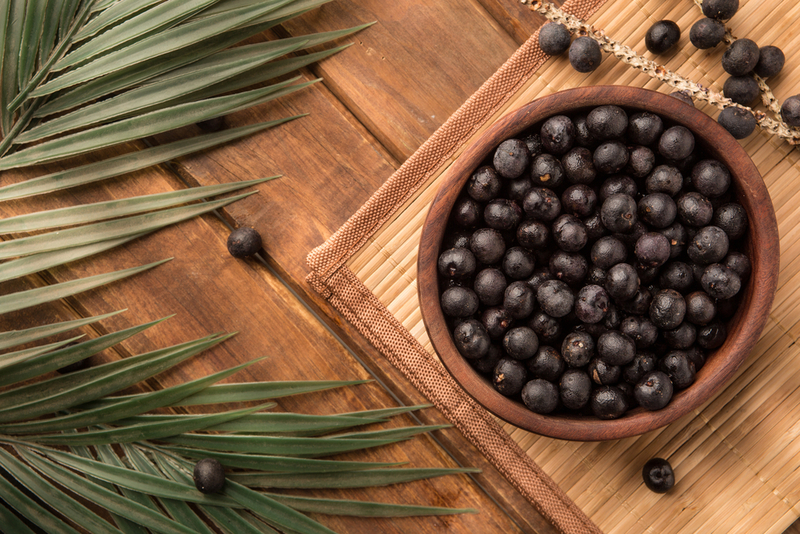 Açaí, also known as a Superfood. Photo credit: Shutterstock. I’m sure by now you have all heard about the goodness and health benefits of açaí bowls, but did you know that it comes from Brazil? This wonderful little black berry is usually served as a thick sorbet, and topped with granola and banana slices. Açaí is so popular that it can be found in any cafe, juice bar, bakery or supermarket in the country. You can even buy açaí beer or vodka! Brazilian Feijoada. Photo credit: Shutterstock. Feijoada is often considered Brazil’s national dish, as it is one of the only foods eaten throughout the entire country. This hearty stew consists of black beans, sliced sausages and pork, all lovingly prepared over 24 hours. This dish takes so long to make that Brazilians usually only eat this dish in a restaurant, and normally on a Saturday, where it becomes a social event for the whole family to enjoy. Feijoada is so loved in Brazil that some restaurants are dedicated solely to cooking this authentic dish, and other restaurants dedicate one day a week serving only Feijoada. Did all the reading about Food From Brazil make you hungry for a trip to Brazil? Click here for more info about the extended range of possibilities.